Marvel has announced the launch of its newest Facebook game, Marvel: Avengers Alliance Tactics. This new title in the Marvel: Avengers Alliance series is a tactical combat game, which sees players engaging with Marvel heroes in 3D environments to defeat villains from the Marvel universe. The game places players in the role of S.H.I.E.L.D. commander, in charge of a team of super heroes and a base of operations. Players will interact with characters including Iron Man, Thor and Captain America, while villains like Loki become available as the game’s story unfolds. Each turn-based battle sees players moving their characters around a grid on the board, attacking enemies or defending their positions, where applicable. Each character has a set of specific skills, some of which attack multiple enemies at once, and each has a series of stats in terms of health and defense. At the end of each encounter, the player earns experience points, as do their participating heroes. As characters level up, they can be trained to unlock new abilities. Iron Man, for instance, quickly receives the Unibeam ability, which can attack enemies from a farther distance than his basic Repulsor Rays attack. Meanwhile, the overall player level corresponds to base upgrades, like an improved command center with room for heroes and defensive agents. We had a chance to chat with Executive Producer Gabe Brown, to learn more about the game, and what existing franchise fans can expect. Inside Social Games: What inspired the creation of this new spin-off for the Marvel: Avengers Alliance series, rather than simply adding this storyline and content to the original game? Gabe Brown: We really wanted to create a different experience and that’s difficult to do by adding to an existing game. 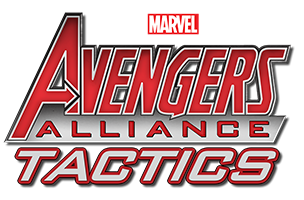 Avengers Alliance Tactics introduces the concept of movement. Players can experience their favorite heroes moving through a room to take out the bad guy! We also wanted to push the boundary of what a Facebook game could look like by introducing 3D graphics. In addition to the new gameplay, we’re continuing the storyline in both games so players can experience the great story by writer Alex Irvine and our design staff. ISG: Players will manage a S.H.I.E.L.D. headquarters while not in combat. Can you explain a bit about how that will work? What will gamers do there? GB: The S.H.I.E.L.D. headquarters is the player’s base of operations. They will need to build it up and defend it from attack as they progress through the game. Each of the facilities in the base provides important functionality that players can leverage in their pursuit of fighting more powerful foes. The big differentiator from the original game is that other players on the world map can attack this. It also lets you interact with other players on the map. We’re really excited to expand the possibilities. ISG: Will the player’s role as “S.H.I.E.L.D. Commander” be represented by an in-game avatar, or will players only interact with the 20+ Marvel heroes and villains? GB: Players will be interacting with the heroes primarily and will also be able to sway villains to join their cause. Players of Avengers Alliance will notice they don’t have an agent that represents them in combat and instead have many S.H.I.E.L.D. agents that they can recruit and equip with powerful weaponry. We’re excited for this change as it lets players use more heroes in combat and leverages agents in unique ways to help heroes. ISG: Will the two Marvel: Avengers Alliance titles connect in any way, in terms of gameplay? GB: We are definitely looking into ways where players who play both games are rewarded for their efforts in each. Stay tuned for more information when we can announce those rewards.